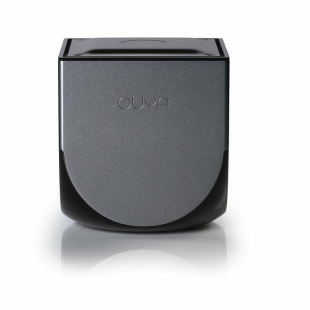 Ouya CEO: Game Sales "Better Than We Expected"
Only 27% of Ouya owners have purchased games for the Android-based console. Despite the Ouya raising nearly $9 million during its Kickstarter there were still many who had doubts about the indie console's chances of success. Doubts that some would undoubtedly argue to be well founded, especially following its launch and a mediocre reception from critics who were fast to note several problems with the console and its hardware. Now, it's been revealed that since the Ouya's launch only 27 percent of its user-base have actually purchased any games. According to Ouya CEO Julie Uhrman however, things are going "better than we expected." "Monetization on Ouya is so far better than we expected," Uhrman said, commenting on the sales figures. Despite this Uhrman didn't deny that actual game purchases are on the low side. "It takes time to build what traditional consoles have had decades to build. But really, I think it's too early to draw such broad sweeping statements about how a platform is going to perform." According to Uhrman the Ouya's current sales are indicative of many players experimenting with free-to-play versions of games before buying them. There is some evidence to back this up. Thirteen of the Ouya's twenty highest grossing developers reported an average 8 percent rate of players converting from free to paid versions of their games. "There are a lot of social and mobile app developers that would kill for an 8 percent attach rate on a platform that's 30 days old," Uhrman said. "I believe that by the end of the year, we'll see a few developers telling us they've made more than a million dollars on Ouya." Whether or not that prediction becomes a reality is something only time will tell.